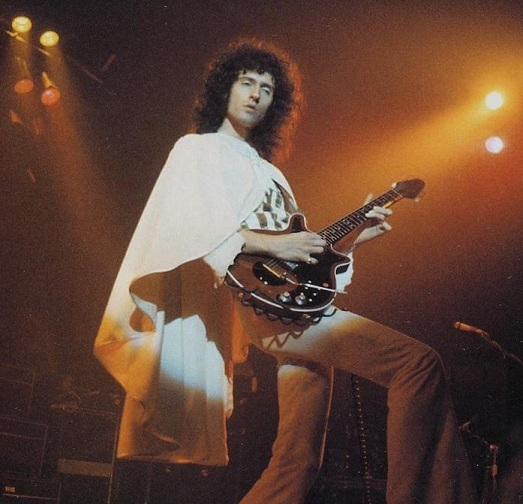 QUEEN – S/T: An Emperor’s Humble (And Powerful) Beginnings – Schlockmania! When it comes to lavish record productions, Queen wrote the book. The stories of the expense and dedication this group poured into their records is legend: they used 4 studios and spent 45,000 pounds to record A Night At The Opera and five years later, they spent twice as much to capture The Game on wax. The results were always worth the time and cost, as the group produced some of the most lush and complex sounds in rock and roll history – and they didn’t even use synths until 1980. Thus, it’s a fascinating irony that the group’s debut album was recorded piecemeal, using free studio “down time” supplied by their management. First records are often recorded in such dodgy circumstances but they rarely sound as good as this self-titled outing does. As Queen reveals, this quartet clearly wasn’t ready to let time and resource limitations hold them back – and the finished product is an impressive, cohesive declaration of intent. 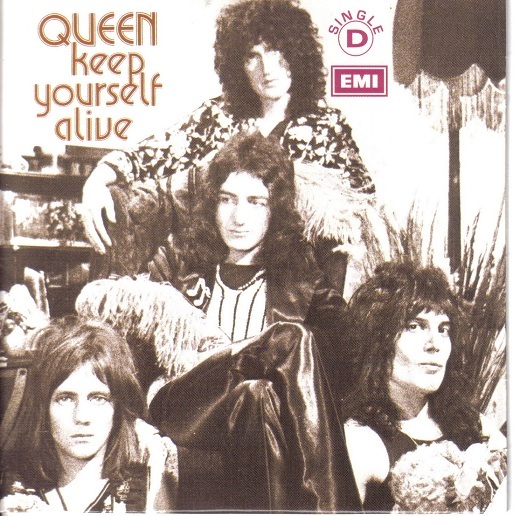 Debut single “Keep Yourself Alive” kicks it off in stomping style, showing off the group’s already impressive ability to blend shadow with light: the pounding rhythm section and tough main riff hit with jackhammer-style insistence but Freddie Mercury’s elegant lead vocal adds a touch of unexpected elegance, an impression supported by the choral harmonies and a stunning Brian May guitar break that sounds like an orchestra of riffs swirling off into the ether. It’s the archetypal iron fist in a velvet glove and effectively sets the tone for what is to come. 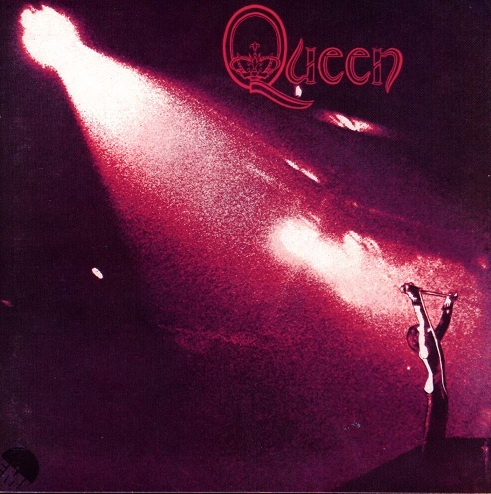 The remainder of the album explores a variety of hard rock styles, all united by an ambitious yet carefully realized style of songcraft and Queen’s distinctively artsy approach to the genre. “Great King Rat” and “My Fairy King” pump up their Tolkien-rock scenarios with an array of melodic twists while “Doing All Right” and “The Night Comes Down” are ballads that harbor unexpected but welcome bursts of multi-textured guitar. The songs rarely stay in one place for more than a minute, always harboring a delightful curveball around the next turn that helps them hold up to repeat listens. The closest the album comes to a conventional rocker is “Modern Times Rock & Roll,” a change of pace penned and sung by Roger Taylor. He applies his whiskey-tinged voice to a streetwise-cynical appraisal of the music business over a blitzkrieg melody paced by a wailing chorus and an abbreviated but typically dense May guitar solo. However, the heaviest moment is “Son And Daughter,” a molten rocker that pairs a sludgy riff worthy of Black Sabbath with castrato-shriek vocal harmonies on the chorus. Mercury gives a venomous delivery on the lead vocal, clearly relishing the chance to show off his butch-rocker side. However, the most important song on this album is “Liar,” it’s lengthiest and most ambitious track. This paranoid tale of religious/social persecution packs an album side’s worth of hooks and tempo shifts into six minutes of pure rock opera. 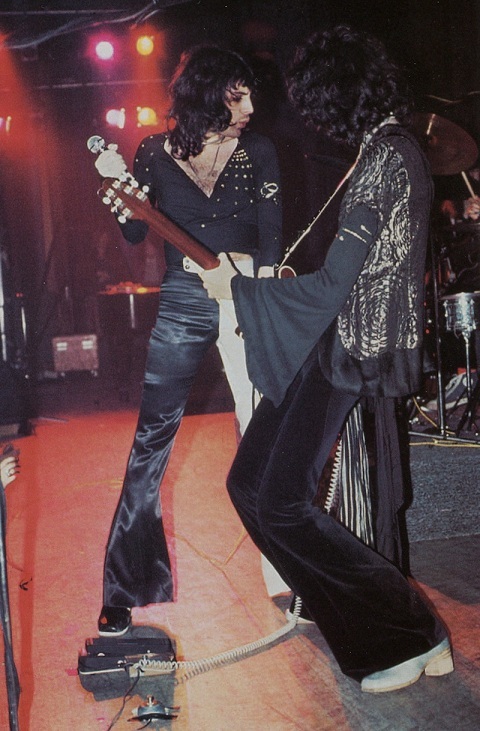 It also boasts a performance that lives up to its melodramatic grandeur, with Mercury trotting all his vocal stylings (everything from a whisper to a scream) and several scorching guitar breaks. Most importantly, “Liar” makes the best use of the group’s formidable vocal harmonies, allowing their backing vocals to function as a hysterical Greek chorus to its feverish scenario. 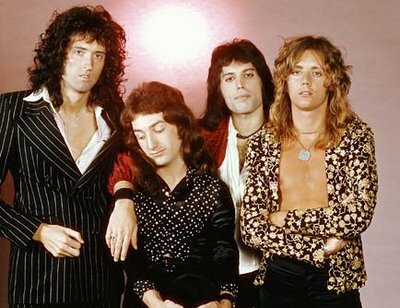 The end result is the ur-epic of the Queen catalog, the song that made later operatic epics like “Bohemian Rhapsody” and “Somebody To Love” possible. Simply put, Queen is one of the all-time great hard rock debut albums because it offers a snapshot of everything the group would be come. Future albums would elaborate on the style and the eloquence of its sonic expression – but all the roots of their future success can be found in this ambitious yet focused bill of fare.